Newly redecorated and refreshed! 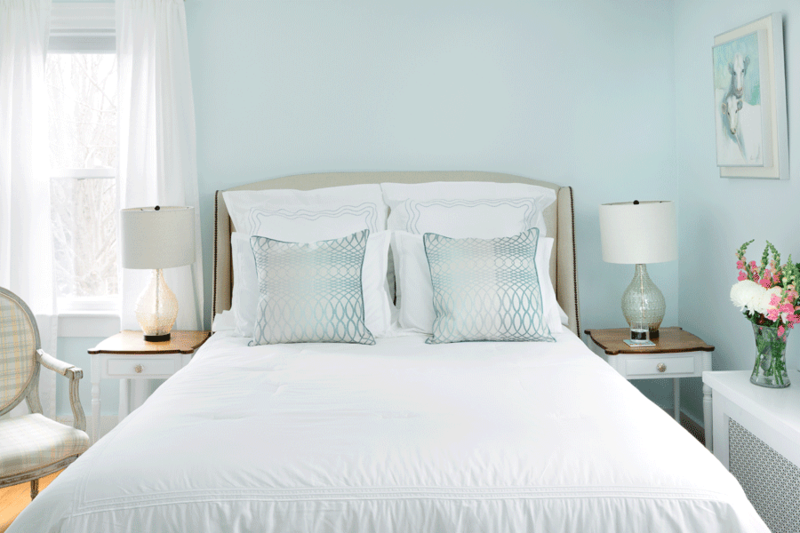 This is a cozy room finished in warm blues with a custom upholstered queen bed. This room features a beautiful handmade, vintage Connecticut bedroom suite. The en-suite bath has a custom tiled shower.